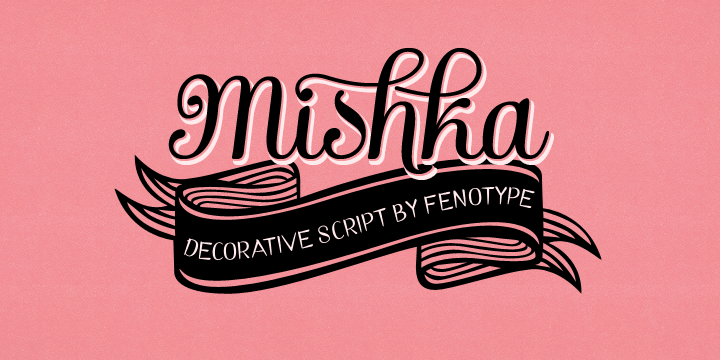 Mishka can be referred to as an elegant decent script created by Emil Karl Bertell. The typeface is also known to be inspired by the Barber and Pepita Script releases by Bertell. Mishka comes with crystal clear letterforms yet huge number of options for more decorative custom headlines. You can easily turn on the alternatives option for contextual, swash, or stylistic alternates in an Opentype savvy program. You can even pick any of the additional alternates available in the glyph panel. Small Caps help in maintaining legibility even in small sizes.